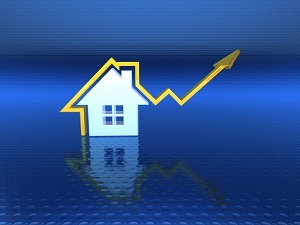 After a rocky first quarter of 2014, the housing market rebounded in May with increased sales reported nationwide for both new and existing homes. Sales of newly built, single-family dwellings saw a nearly 19 percent increase, capping off at 504,000 units — the highest number since 2008, according to the U.S. Department of Housing and Urban Development and U.S. Census Bureau. Every region of the country reported higher sales, with the Northeast posting the largest spike at 54.5 percent. The West saw a 34 percent increase, followed by a 14.2 percent in the South, and a 1.4 percent increase in the Midwest. Meanwhile, the National Association of Realtors (NAR) reported that the total number of existing home sales rose a more modest 4.9 percent between April and May 2014, representing the strongest month-to-month increase since 2011. Overall numbers fell five percent short from the year prior; however, existing home inventory saw a slight increase of 2.2 percent, and the mean price of existing houses increased 5.1 percent from the prior year, settling at $213,000. David Crowe, Chief Economist for the National Association of Home Builders, predicts that the positive growth in new home sales will lead to more job creation and gradual growth in the housing recovery.